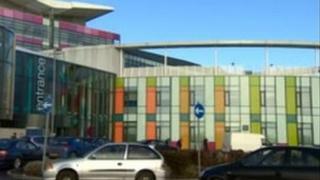 A Belgian doctor who was employed by a Nottinghamshire hospital even though he was not registered has been told he cannot work in the UK. Dr Johannes Peperkamp was a locum neurologist at King's Mill Hospital for a month in 2012, despite being taken off the register for not paying fees. A hearing was told he had been criticised for poor record keeping and lack of knowledge about certain drugs. His contract was terminated when it was revealed he was not registered. The Medical Practitioners' Tribunal Service said no patients were harmed. The General Medical Council (GMC) began investigating him in 2005 and found several areas of concern, including Dr Peperkamp's assessment of his patients' conditions and his record keeping. The tribunal told Dr Peperkamp: "Your records were found to be difficult to read, entries were unsigned, brief and in some cases incomplete, with important information missing." Medical assessors also found Dr Peperkamp was unfamiliar with "the bread and butter of neurology", including the drugs used to treat epilepsy and Parkinson's disease. He agreed to take action to improve his performance, but by 2008 he had left the UK to practice in Belgium. On 9 March 2011, Dr Peperkamp's name was removed from the medical register because he had failed to pay his fees. However, when he applied for his name to be restored to the register in June, his CV revealed he had worked at King's Mill while unregistered. Dr Peperkamp, a neurologist, told the tribunal he had forgotten about his registration status and had not meant to bypass the GMC. The doctor told the tribunal he did not know it was his responsibility to tell his new bosses that he was not registered. Previously he had worked at Royal Aberdeen Infirmary in 2005 and Southampton Royal Hospital in 2006. The tribunal told Dr Peperkamp: "It (your behaviour) represented a reckless disregard for the systems which are designed to safeguard the interests of patients and to maintain high standards within the profession." A hospital spokesman said: "Our internal processes have been reviewed and an additional step has been put in place which ensures our HR department double checks the GMC registrations of all agency doctors."